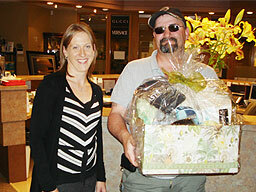 This spring’s patient referral basket winner was Mr. Adan Farah (not available for photo). Thanks to everyone who participated. Jimmy Crystal New York™ Selection! Jimmy Crystal New York™ was founded in 1991 and has been dazzling the world ever since. Their ready-made readers are as functional as they are fabulous and come in a variety of powers. Whether you’re looking for just a hint of sparkle or dreaming of a complete crystal masterpiece, they have sunglasses for everyone. 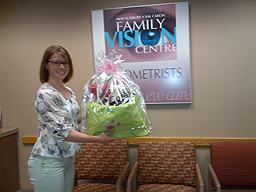 The winner of this year’s fall $100 mall gift card, World Sight Day basket and floral arrangement was Claire Gosselin. 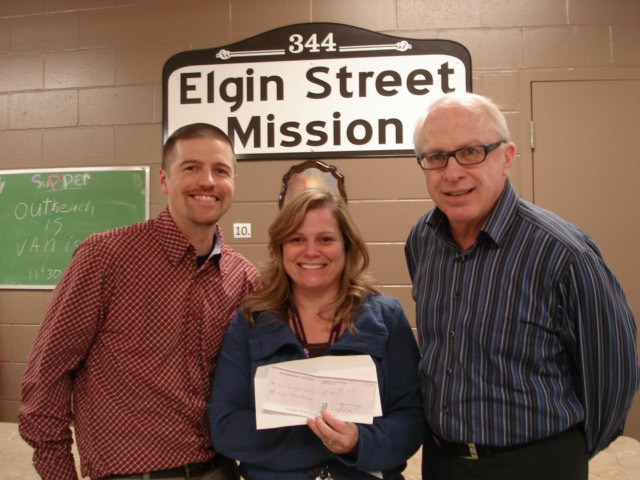 Thank you to all our patients for supporting such a worthy cause! This fall’s patient referral basket winner was Charles Esau. Thanks to everyone who participated. Do you want to be the one that stands out of the crowd? These new, unique high quality frames in unconventional colors will do the job! This beautifully handcrafted line from Italy is only available through independent eyecare professionals. Come in and take a look. 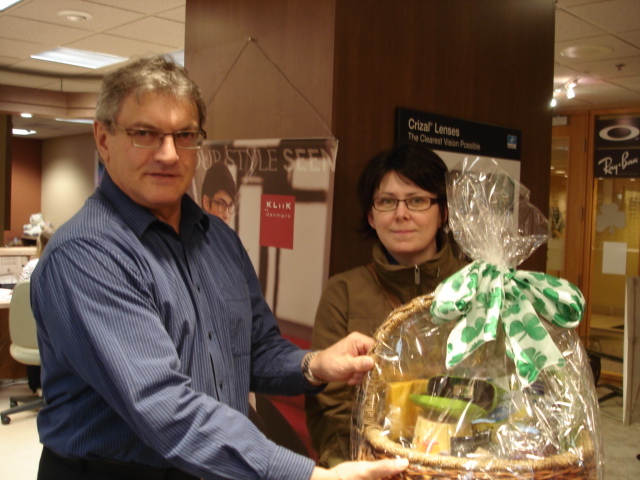 This summer’s basket winner is Carl Griessmeier. A big congratulations to him! 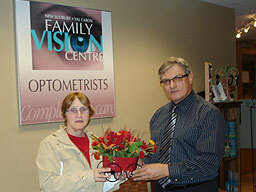 Family Vision Centre is proud to announce that we now carry Coach products, both ophthalmic frames and sunglasses! Come in and check them out. 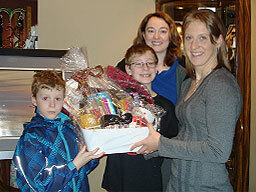 Congratulations to Angela Gilchrist, winner of our spring gift basket draw for referring a new patient to our office. Tessa Bonhomme, daughter of Family Vision Centre employee Debbie Bonhomme was part of the women’s Olympic hockey team who brought home gold at this year’s Vancouver Winter Olympics. Our patients signed a book of well wishes that her mom and dad brought to her at the Olympic village.